Crown Carpet & Upholstery Cleaning! 'Use the Best, or try the REST' - When only the BEST will do! Our Expertise is Guaranteed. 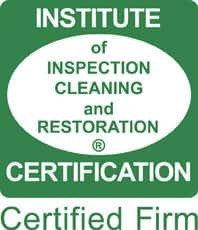 Barrie & I are both Professional IICRC - 'Institute of Inspection, Cleaning, Restoration & Certification' trained technicians. 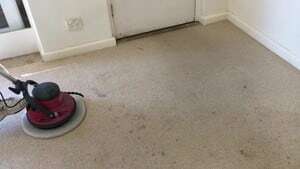 Combined we are trained in 'Carpet Cleaning', 'Upholstery Cleaning', 'Water Damage Restoration' & 'Ceramic Tile Cleaning'. We are both trained in 'Stain Removal' techniques. We are suitably priced for our expertise & high work standard ethics. We have NO gimmicks, do NOT upsell & will NOT compromise on Quality. 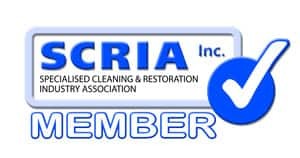 Crown is a IICRC accredited company, PLUS a member of 'Specialised Cleaning Restoration Industry Association'. We clean Leather furniture, but do not Repair Leather. We are your Local Professional Owner/Operators. Myself &/or Barrie come on site to perform every steam clean of your home or office valuable furnishings. We do not send Sub contractors. ALL Lower North Shore suburbs including Castle Cove, Willoughby, Northbridge, Mosman, Cremorne. We do NOT cut corners. Our Reputation is our livelihood. Fully Insured, Family Owned & Operated. We guarantee to TRY our best! Crown Carpet cleaned my 15 year old corner lounge - an olive green material. There were years of 'wear' from 2 dogs and 4 kids and it had not had a clean yet. Barrie and Debbie brought the lounge back to an as new condition, at a reasonable price. I highly recommend Crown Carpet & Upholstery Cleaning for their hard work, professionalism and great result at an affordable price! Thank you so much for your Review! Every Review helps us. We hope to see you again. We highly recommend Crown Carpets. We had a large oily stain in our office carpet. Debbie and Barrie inspected and quoted the day we called and then did a fantastic job. They were very reasonably priced for the work they had to do, moving furniture and carrying their equipment up and down stairs. They were also extremely considerate of our business needs to ensure we weren't interrupted. Would use again. Make sure you get these people to quote on your job prior to commencement! I didn't and they charged me $220 p/h. For a 4 hour job they charged me $880 - I have never paid any more than $450 for the same job ... They were twice the price of any other carpet company I have used and the results were no different. My carpets and lounge weren't heavily marked, they just needed to be freshened up. When I asked them for a full detailed receipt I was ignored. No - not 40 plus urine stains, possible 10 to 12 ... from a puppy!!! By the way, the stains didn't come out!! I said you did a nice enough job - Just wasn't worth the kind of money you charge. Just warning people to make sure they get a quote before they hire you - stupidly I didn't! !